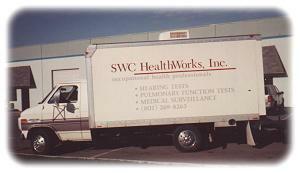 One of SWC HealthWorks main services includes a complete medical surveillance program at your site. SWC HealthWorks will perform an assessment process of your company in regards to OSHA compliance. We then generate a report detailing the current OSHA regulations under which your business falls. Some of the more common medical surveillance programs we analyze include drug screening, blood borne pathogens, and respiratory certification. Our medical team can then administer testing, training,and education for your employees who require them. SWC HealthWorks can also provide whatever else your company may need in the way of occupational health such as physical examinations or ergonomic stressors. The bottom line is that SWC HealthWorks can assist your company to stay current with OSHA regulations. Your employees will be able to perform their job responsibilities more safely. This will translate into more productivity and less time lost off the job through sick time and workman's compensation claims. Your business could actually show more of a profit by utilizing SWC HealthWorks. 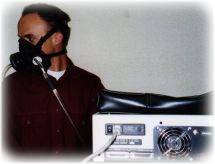 If you are a company doing business in Utah or surrounding states, please take a look around our site. SWC HealthWorks is here to assist you.